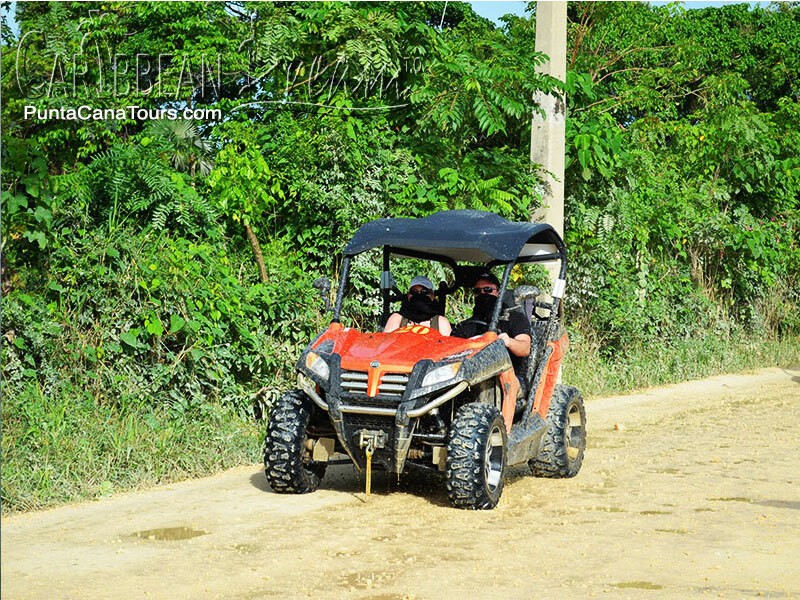 If WE can get YOU on an awesome Terracross All-Terrain-Vehicle that rips up Punta Cana's back roads, would you go? Just say yes, so WE can tell YOU to - Start your engines in style! 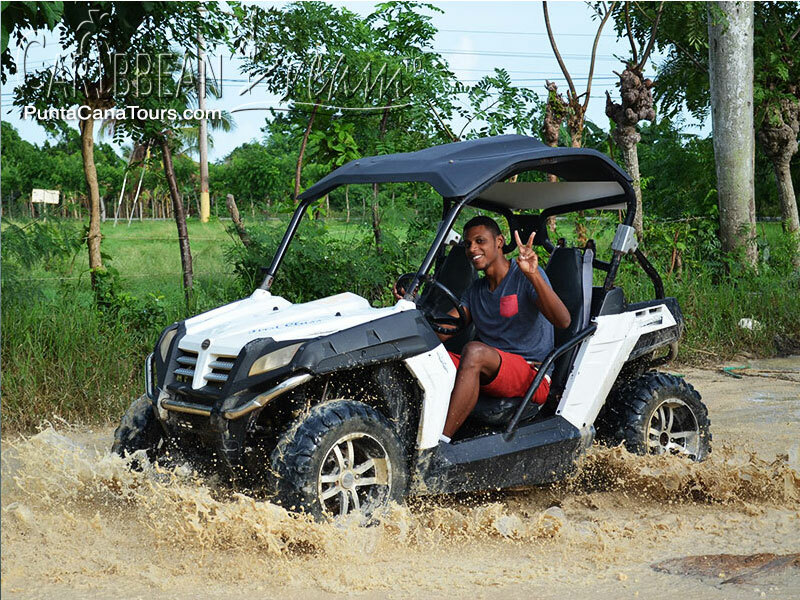 There are many Buggy excursions in Punta Cana but waste no more time looking. 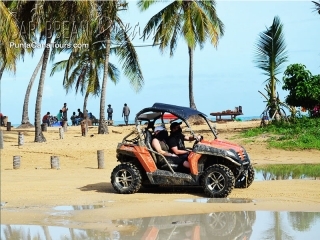 VIP Macao Buggies is the area original. Do it right with the Buggy experts on the BEST Buggy route in Punta Cana. From our remote ranch in Macao, get comfy in your VIP Buggy. These bad boys are a step above the rest and can handle the Dominican off-road with ease and speed. 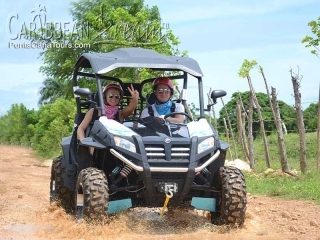 Then, we go roaring through remote farmland, passing palm trees and tobacco plantations with the Oriental Mountain Range deep in the background. We may call them VIP Buggies but they ain't for the prissy! 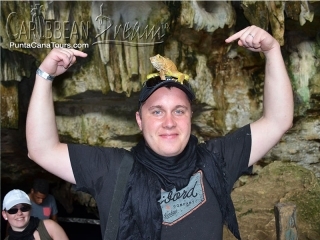 Stop 2: Descend into a cool, dark cave with a calm subterranean lagoon perfect for swimming. Take a dip and wash off some of that muck! Then, the longest stretch of your excursion also provides the largest contrast. 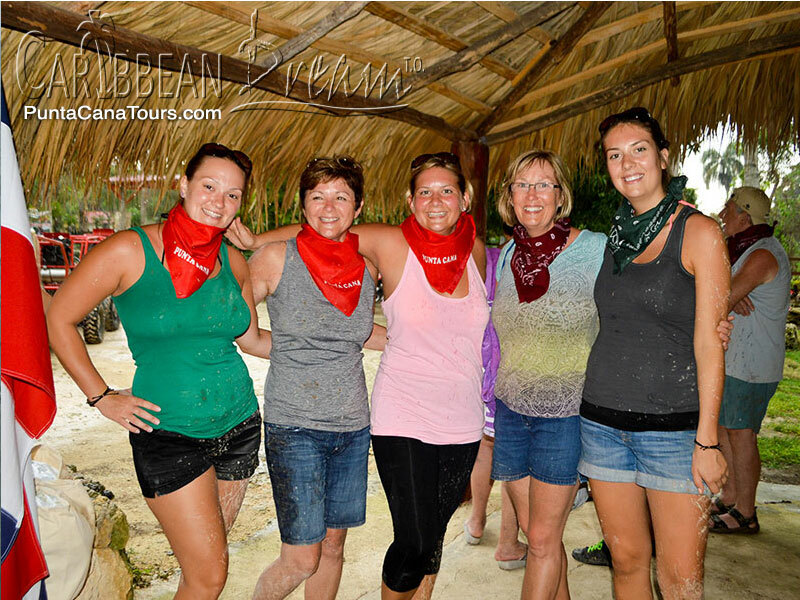 From the sleepy countryside cave, we retrace our dirty path, and then some, to a photogenic Caribbean beach! What else did you expect? Stop 3: Bask in Macao Beach. One of the last ‘resort free’ seaside ranges of Punta Cana, Macao is a tropical utopia with golden sands, lazy coconut palms and turquoise waters. 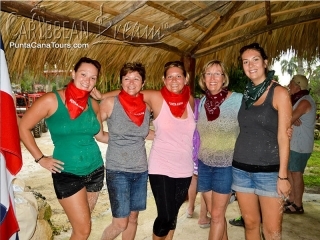 CLIFF NOTES: Burst through distant farmland, Visit a quaint country ranch, Bathe in the sub-terrestrial waters of a natural cave and lounge in the sun at Macao Beach. If you're on the fence, don't be! 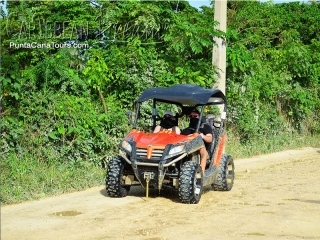 Buggies are Uber popular in Punta Cana so book NOW to get one! 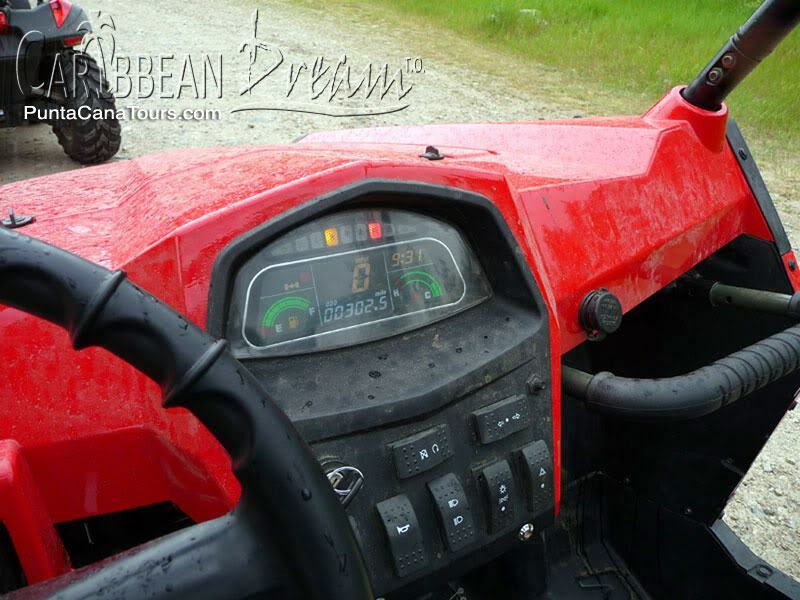 Enhance your Buggy Experience and go VIP with Caribbean Dream! 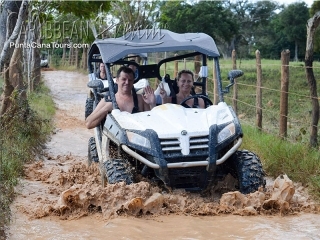 Chances are you're going to get muddy on this tour. Bring clothes and shoes that you don't mind getting dirty. 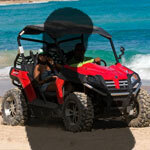 All buggies have an automatic transmission so there's no need to shift. You must have a valid driver's license to be a driver and be at least 18 years old. There is no age restrictions on being a passenger. Pregnant women are not permitted on this tour. 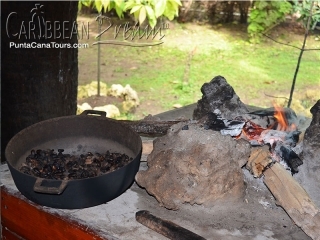 Be advised that there may be vendors at the Cave and on Macao Beach. These vendors can be pushy but you can tell them no if you are not interested.